Strictly Smokin' Big Band - Blowing Up a Storm whilst Blowing in the Wind! Michael Lamb (md), Kevin Eland,Tom Hill, Joe Taylor (tpts); Michael Ferris, Peter Lavery, John flood, Pez Peres (tmbs); Alan Marshall, Nadiah Killick, (altos); Paul Gowland, Claude Werner (ten); Laurie Rangecroft (bar); Chris Finch (pno.) Pav (gtr); Michael Want (bs); Guy Swinton (dms). Angela Lyons James Hedley (vcl). When Angela, depping for Steph, sang Too Darn Hot I couldn't help but think that this was the most inappropriate number for today! This was Newcastle in June - not Memphis. Nevertheless she sang it good and for a few brief moments the sun came out and it was at least warm. The name Candace Allen was familiar although I couldn't remember from where until, all of a sudden, staring out at me from my bookshelf there it was, Valaida by Candace Allen! This was a factional take on the life of trumpet player Valaida Snow. I recall it was a good read and, as such, I looked forward to Ms Allen's second foray into print. 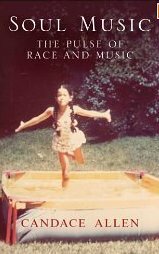 Soul Music is a fascinating insight into the life of a black American girl, her enthusiasm for many kinds of music - the Great American Songbook that her parents loved, the jazz her father, a friend of Miles Davis, preferred, her own leanings to black American Soul and ultimately a love of classical music no doubt nurtured during her marriage to conductor Simon Rattle. You just must listen to the Documentary of the Week on Radio 4. 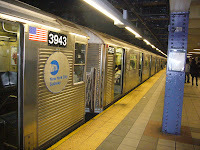 It’s all about the A train, yes, the one immortalised in the Billy Strayhorn number that Ellington used as his signature tune. 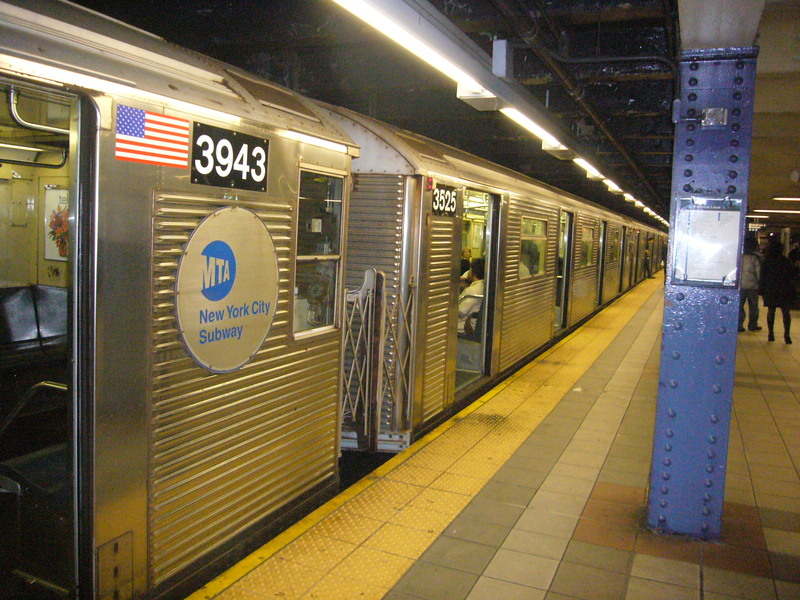 35 miles of heavy railtrack, which runs through New York and its suburbs. I was so glad to catch this programme at 11am today. It explains what you can expect to experience on the journey, the homeless people who live on the train, rubbing shoulders with the rich, the graffiti artists and the workers. The journey takes you through beautiful scenery and places of cultural significance. You’ll hear many different languages. Apparently 136 different languages are spoken in the Queens area of New York. There was an interview in the National Jazz Museum at Harlem, accompanied by someone playing the trombone. 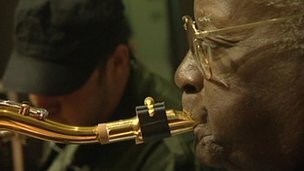 Catch this on the BBC i player if you want to know about the cultural scene around New York jazz. Saturday July 7, 2012 sees the Arts Centre at Darlington close its doors for the final time, yet another victim of local government cuts. 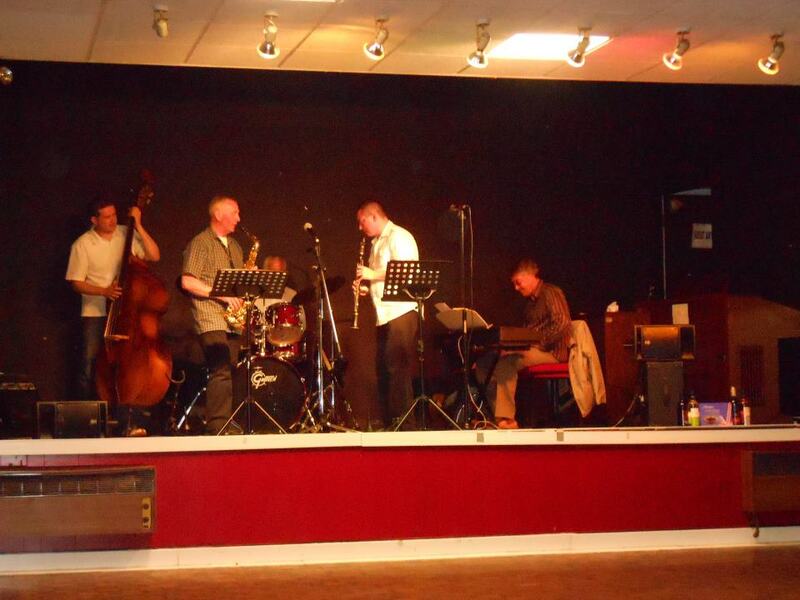 The Arts Centre, has been the popular venue for Darlington New Orleans Jazz Club over the last fifteen years. In that time we have promoted traditional and classic jazz, from ragtime to swing, and brought our audiences musicians not only from around the U.K, but also from Australia, Canada, France, Germany, Holland, and the U.S.A. 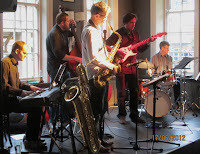 The last gig at the Arts Centre takes place at lunchtime a week on Saturday, when we welcome The Savannah Jazz Band. The band’s driving and exciting New Orleans style ensures that it continues to be one of the most popular U.K bands, which also has a truly international reputation. We hope to see as many of our patrons, both past and present, to make sure we go out with a bang and not a whimper. For those who can’t make it, Ray and Graham would like to thank everyone for their support and encouragement in helping them to keep music live. The Savannah Jazz Band Saturday July 7, 2012 at 12.30p.m. Well Didn't It Rain Children? Redemption: John Hall (ten); Jim Hall (keys); Keith Tulip (bs); Martin Wake (dms). Take It To The Bridge: Dave Weisser (flug/vcl); Paul Gowland (ten); Ray Truskett (bs); Barrie Ascroft (keys); Norman Redhead (dms). After I reviewed a previous gig by Redemption I remarked that a ballad wouldn't have gone amiss 'midst the Wham Bang Thank You Mam approach. Lo and behold, this time around they obliged with what John Hall described as "Nearly a ballad" - Free Lance! Yes, alongside Basie's Panassie Stomp (dedicated to Hughes Panassie) and MJQ's Delauney's Dilemma we now have Free Lance - I'm humbled to be in such exalted company. Almost a ballad is a good description as, had he been alive, I couldn't quite see Johnny Mercer penning a lyric to it. Nevertheless, I'm delighted to have been given this "Honour" and hope it's included on a future CD. I missed Joe Stilgoe's first album so the first thing I'm going to do after listening to We Look To The Stars again is to track it down. If it's half as good as this latest album then it is very good indeed! Singing and playing piano in front of a swinging big band Stilgoe hits the spot from the opening bars of Let's Begin to the final track - The Kink's Waterloo Sunset - the only non original. 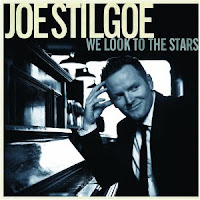 Joe Stilgoe: We Look To The Stars is released on Monday July 2. Pianist Vijay Iyer topped an unprecedented five categories in the 60th Annual DownBeat Magzine International Critics Poll, winning Jazz Artist of the Year, top Pianist and Rising Star Composer. His trio were also named Best Jazz Group and their disc Accelerando (ACT) was named Best Jazz Album. Here's an example of his earlier work. 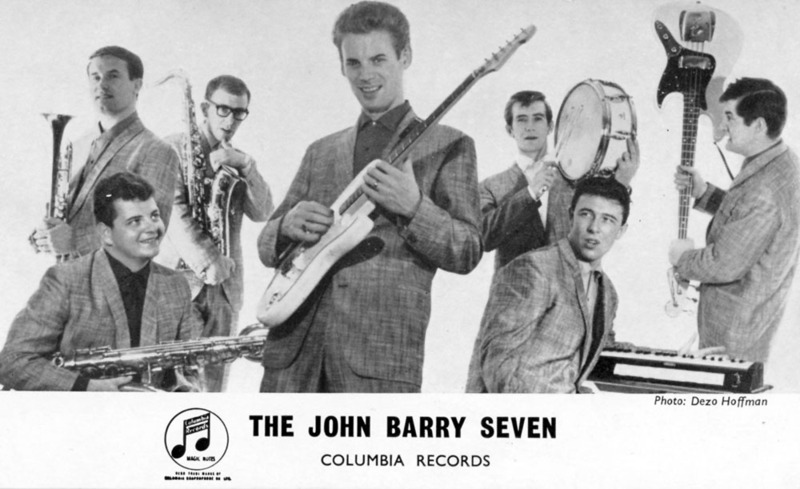 The late Bobby Carr is never far away from these pages as witness this publicity shot for the John Barry 7 taken back in the 1960's. Bobby is far left holding trumpet. Photo supplied by Geoff Leonard - co-author of two books on John Barry. Just to let you know that I have visited Ray Chester this evening and although he remains very very weak I was heartened to the fact that he is actually up and moving around with the aid of a zimmer walker, which was lovely to see. I have passed on all your kind regards and he was very humbled and thanks you all. 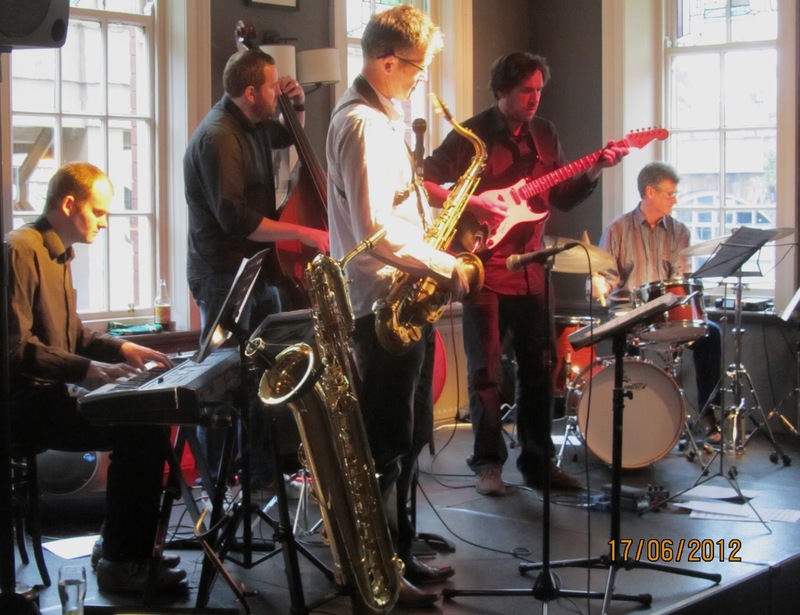 If you like hard bop catch Redemption Jazz at the Chilli tomorrow night. It's uncompromising driving Blue Note, by way of Tommy Chase, jazz. Visit their website for sound samples. The results are out now. View them here. Most interesting is Wycliffe Gordon picking up the Trombone Award. Gordon is perhaps the most mainstream orientated of the winners and a frequent collaborator with my two favourite American singers - Becky Kilgore and Daryl Sherman. Daryl of course is due at, among other venues nationwide, The Sage, Gateshead on July 16 - 3 weeks from today. If you haven't yet got your ticket don't delay - she really is a class act. Jack Davies (trumpet), Rob Cope (tenor saxophone), Tom Taylor (keyboards) & Jon Ormston (drums). England v. Italy. Live on every television in the United Kingdom of Inger-land. Well, you lost. Get your money on Germany. You lost double your money… read on. Tenor saxophonist Rob Cope contributed Minus Ten on which Taylor’s efforts scored ten out of ten. Percussionist Jon Ormston’s composition Clowns and Taylor’s Three Short Stories rounded off the first set. Audience and band dashed down to the bar to check the score….0-0. Cullercoats Brewery’s Jack the Lad hit the back of the net (1-0, 2-0, 3-0, then the scorer lost count). After I left the Jazz Café I looked in on Hoochie Coochie - Euro 2012 hasn't done Warren any favours either - has it done anyone any favours other than those pubs with the big screens that magnify our sad performance?. However, it was good to talk to Richard Owen, sound man for the evening, who also presents a Swing show on Monday evenings on NE1fm-net. 102.5 FM Monday 11pm-1am. Check the station out here. As well as playing vintage jazz he also plays local bands recorded live. Peter Gilligan (pno); Paul Grainger, Ray Truscott (bs); Richard Herdman (gtr). It was good to have Paul Grainger back at the JC after his pedi op. Along with Pete Gilligan the duo grooved high on Bouncing With Bud - not to be confused with Bud's Bubble as Pete reminded me I frequently do! What's in a name? They're both good tunes! Guitarist Herdman made it a trio and they swung. No drummer? So what? Peterson, Herb Ellis and Ray Brown got by without any skins and this was in that vein. There Will Never Be Another You, Nardis, Who Can I Turn To? and Up Jumped Spring - that delightful Freddie Hubbard jazzed up waltz - were just some of the numbers played. Punters were few - football fever was running high - but those in the audience very much appreciated what was offered. We even had a bluesman sit in on piano - Pinetop Pelaw perhaps? Ray Truscott took over when Paul, still on crutches, left. Lindsay Hannon dropped by and I'm sure she'd be singing a few - that really would have been the ice in the Martini - but I had to move on. Sorry Lindsay. Now that this football malarkey is over as far as England are concerned let's have more people supporting this Sunday afternoon session. You won't hear many guys of this calibre playing the music we love in Pink Lane or indeed in any other coloured lane this side of Blues Alley..
Trumpeter Christian Scott’s latest release is further evidence of his desire to forge his own identity in this twenty first century post Miles era. The double CD package roams across an expansive contemporary landscape. The opening track Fatima Aisha Rokero 400 possesses a filmic quality viewed through the lens of Scott’s horn. Aperture set wide, the jazz light illuminates the screen. Scott is of the jazz school educated generation secure in technique, respectful of the lineage, determined to explore and develop his sound. Who They Wish I Was is a riposte to those seeking the next Miles clone. It is, therefore, ironic that the trumpet we hear on the track could indeed be that of the Prince of Darkness. Kiel serves as a further example of the Milesian approach but if comparison be drawn perhaps Freddie Hubbard is the one; clear as a bell confidence, standing exposed under the spotlight. Scott happily incorporates contemporary sounds (he has worked with Mos Def and Marcus Miller) and the musicianship is top drawer. 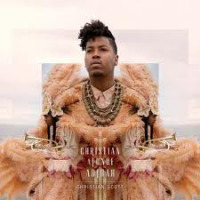 Christian Scott’s new CD Christian Scott Atunde Adjuah is released in the UK on Monday (25 June) and the trumpeter tours as the guest of George Benson starting on Thursday (28 June) in London at the Royal Albert Hall. 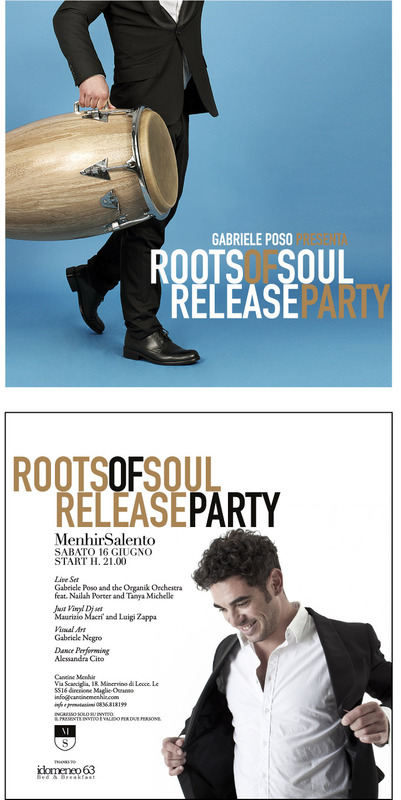 The CD launch of Christian Scott Atunde Adjuah is at London’s Jazz Café on Thursday 5 July. Abram Wilson Funeral, Memorial Service Details and Much More. When someone such as Abram Wilson - so richly talented - is taken away so young you feel there must be a life hereafter or else why is there a life at all? Tell me I've gone mad and what I have just watched on Google is a figment of my imagination. A New exhibition by Turner Prize winner Mark Wallinger is being displayed at the Baltic in Gateshead. The exhibition comprises of two items. Item 1 features 65,536 pebbles laid out on a giant checker board . Item 2 features .......wait for it........... a WALL. Yip, a wall. Ahh, but here comes the rub. The wall is a BRICK wall. Not yer ordinary common or garden wall, it's a BRICK WALL. Trawling through a 1966 Crescendo looking for suitable quotes for Bebop Spoken There I came across a reference to a band called The Melfi who were resident at the ill-fated Piccadilly Club. They left before the place was burned down changing their name in the process to Val and the V's. Does anyone remember them? More photos from Ned Kelly's. Those of us of a certain age may well remember listening to Willis Conover's Voice of America Jazz Hour which was broadcast nightly from 1953 to 2005. Well Conover may have gone to the studio in the sky but his memory lives on with the current Voice of America program - Jazz America hosted by Russ Davis. I've just listened to, among others, tracks by Bill Evans, Tal Farlow as well as Bela Fleck talking and playing Bluegrass Jazz on banjo - this program certainly has variety! Like the original, Jazz America is aimed at countries where jazz isn't readily accessible and English isn't always spoken so bear with the sometimes pedantic approach - the music is worth it. It was on VOA that I first heard The Atomic Mr Basie, Ellington at Newport 56 and Art Pepper Meets the Rhythm Section - who knows but that I may discover more gems! Check out the latest program here. Joe Leader (saxes); Carl Hudson (keys); Miles Kayne (gtr); Andy Tolman (bs); Westley Joseph (dms). 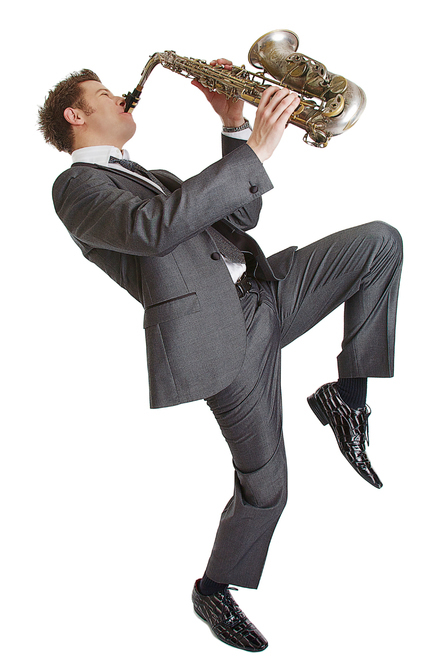 I'm not normally an enthusiast of "Smooth Jazz" it tends to be repetitive and lacking in emotion. However, there is an exception to every rule and this may just be it. Certainly it's smooth but there are also moments when the veneer slips and some earthy slices of R & B surface. Leader Leader is an accomplished player and he has a good repertoire of jazzisms to call upon. Nine classic cuts including Isn't She Lovely?, Nature Boy, Just The Two of Us and Another Star make this a very listenable album. It may not be my album of the year but it will get played again. The official launch is this Wednesday June 27. 8:00pm at the Leicester Square Theatre, London so, if you're in town it will be well worth attending. Just to let you know that our special guests on 27 June will be the Redemption Quartet (pictured), who have played with us before. Keith Tulip, the group's bassist, says they'll be playing a few new tunes they've been working on, and I'm looking forward to hearing them. We continue with our workshop band, with 6-string bassist Ray Truscott a regular and welcome participant. We've also had a wonderful young guitarist, Mike (from Cyprus) playing recently; he's a student with Mick Wright at Newcastle University. Alas, he's home to Cyprus for the summer, but he'll be back in the autumn. Paul Gowland plays with us most weeks, awesome as ever, as well as wonderful young drummer Daniel Reid (also a Newcastle Uni student). As ever, Barrie Ascroft is on keyboard, and yours truly is on trumpet/flugel and vocals. The Great American Songbook, The Sage, Gateshead. Wednesday June 20. Katherine Zeserson (vocal) James Birkett (electric guitar). Everything that you need to know about the gasbook was included in this most enjoyable illustrated talk. The social background, the influences behind the songs, how the songs came across to ordinary American people, and, most important of all, many of the songs themselves were performed. Ms Zeserson is American, brought up in New York, so these songs were the soundtrack of her early life. Mary Martin, the Broadway and Hollywood star, lived opposite. The family regularly discussed the merits of songwriters such as Gershwin and Kern, or of singers Billie Holiday and Ella Fitzgerald. So it’s not surprising that Ms Zeserson was able to sing classic versions of the songs beautifully, bringing out the full meaning of the words, acting them out. The songs needed no scatting or other decoration. But, as she explained, the songs originally would not have been performed in a jazz-like fashion at all, as most of them were from musicals, so would have been done in that rather more semi-operatic style. 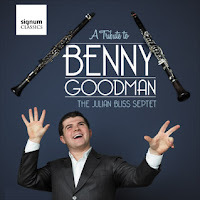 CD Review - Julian Bliss: A Tribute to Benny Goodman. Julian Bliss (clt); Neal Thornton (pno); Jim Hart (vbs); Martin Shaw (tpt); Colin Oxley (gtr); Tim Thornton (bs); Matt Skelton (dms). Benny Rides Again! This tribute to the King of Swing is an absolute gem re-capturing perfectly the feel of those distant days. Based loosely on the Goodman Sextet although augmented, by the addition of Martin Shaw on trumpet, to a Septet to incorporate some of the big band material - the opening mix of Don't Be That Way and Stomping at the Savoy is particularly, and effectively, well done. Jazz vocalist Orla Murphy, with her trio, will be performing a magical evening of Stevie Wonder hits on Sunday 24 June at Square Chapel, Halifax. She will be performing a set of new jazz arrangements of songs selected from his works of the 1970s, which many regard as his ‘classic’ period. Orla’s interpretations stay true to the essence of the originals, so expect to hear well known hits such as ‘All I Do’ and ‘Another Star’. Orla’s rich voice is perfectly suited to Stevie Wonder’s magical style, crossing the boundaries between jazz and soul effortlessly. Orla’s distinctive, rich sound has often been compared to the great vocalists Nina Simone, Cleo Laine and Diana Krall. Earlier in the day, over in Leeds, Seven Jazz present the Beverley Beirne Quartet (2pm-4pm.) Full details here. Note, I rarely post detailed info on gigs outside of the North East unless I, or one of my team, are going to be in attendance or there is a N.E. connection. This is to avoid being overworked! Mole: Mark Aanderud (pno); Hernan Hecht (dms); David Gilmore (gtr); Luri Molino (bs). An eclectic mix of style and nationality. Two Mexicans (pno/bs), one Argie (dms) and a New Yorker on guitar. It's, in the main, quite a restrained and genteel CD almost pastoral at times and certainly not offensive. Don't get me wrong this is no easy listening/muzak disc but one that commands attention throughout lest you miss the many delicate nuances. Of course it isn't all laid back, ethereal sounds. There are a lot of punchy moments too with both Gilmore and Aanderud raising the tension spurred on by Hecht. Not surprisingly, given the ethnic mix there is a Latin feel to it - I can't quite put my finger on it but it's neither Bossa, Samba, Rumba, Mambo, Tango, Cha Cha, Beguine - perhaps it's a combination of all of these with a little jazz rock to stir it up! This is one of those CDs that, with each playing more is unfolded. David Gilmore is an outstanding guitarist - his presence raises the game without in anyway compromising the contributions of his fellow Moles. What's The Meaning? I don't know the answer but I'll enjoy listening to the question again! 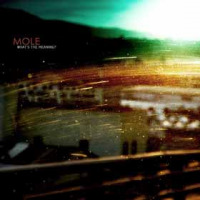 Mole: What's The Meaning? - Rare Noise Records. “Possibly the most enjoyable jazz concert I've ever attended.” The Independent. “Tis the musical equivalent of a Sunday stroll through the grounds of a stately home… you won't find more beautifully serene surroundings this side of Woodstock for such an experience” All Gigs - Festival review. How on Earth could this happen? RIP Scott Johnson. Yorkshire Drum technician Scott Johnson,33, crushed to death when stage collapsed on top of him in Toronto whilst helping set up Radiohead concert. Tragic doesn't go halfway near to doing it justice! South Shields promanade, 7.45am, awaiting the arrival of the Olympic Torch with Captain Jack Sparrow and a few of his crew: Derek Fleck, clarinet; Paul Susans, sousaphone; Brian Bennett, banjo and Brian Chester, trombone. Andy Champion (double bass), Graeme Wilson (tenor & baritone saxophones), Mark Williams (guitar), Paul Edis (keyboards) & Adrian Tilbrook (drums). The Bridge Hotel could be said to be the spiritual home of ACV. Familiar territory, familiar faces. Two sets of familiar and not so familiar tunes, although the ‘not so familiar’ are fast becoming the familiar. Tunes culled from the debut CD Fail in Wood and tunes from the soon-to-be-released second album engaged the audience from start to finish. Degree Absolute (with a light touch from guitarist Mark Williams), Waking the Sleeper (Graeme Wilson’s baritone, Williams’ guitar and Main Man double bass man Andy Champion all excelling) and What’s for Breakfast? (Wilson and Williams right on the money) scored heavily. Wilson’s tenor on And I Do concluded the first set. McMullen’s Bitter proved to be a good choice at the bar. Do you remember that Bing Crosby song - It's June in January? Well today it was January in June! It was that cold sitting in the grounds of the Cumberland Arms in Byker. 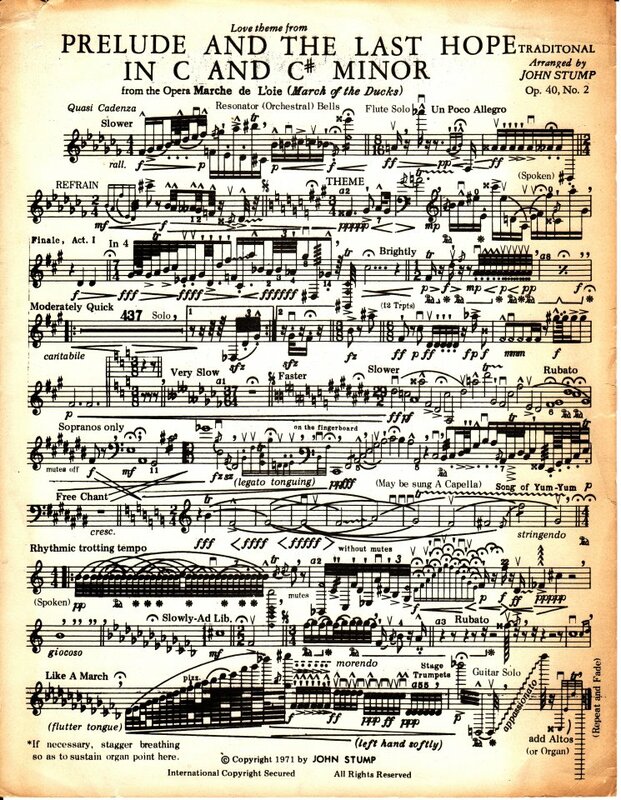 Nevertheless, the music made up for it. The Sour Mash Trio gave a solid country set with more than a hint of Rock 'n' Roll that went down well - as did the Geordie Jazz Ale! As the stage was prepared for the next act, the Swing 8 DJs gave us some Benny Goodman, Al Bowlly singing You're a Sweetheart and some Sidney Bechet before Lady Koo and the Kooky Kitchen (pictured) took to the stage. Arguably the first and possibly the only female Vibraphonist of her generation Margie Hyams died yesterday (June 16). Hyams recorded and toured with the great Woody Herman First Herd that included Sonny Berman, Pete Candoli, Flip Phillips, Billy Bauer, Ralph Burns, Bill Harris and Dave Tough - fast company. She appeared on several of the band's classic tracks such as Apple Honey and North West Passage. 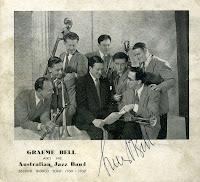 Later Hyams joined the first George Shearing Quintet taking part in many recording sessions including the most famous of them all - September in the Rain. 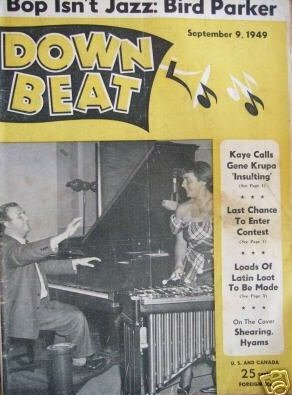 Pictured with Shearing on the Down Beat cover opposite the story inside read: "...They have a freshness and cleanness--mostly due to Margie Hyams' vibes. Margie gets more shading and tone colour with her vibes than we've ever heard from that instrument before ..."
However, in 1950 she married and retired from public performance preferring instead to teach and play locally in Chicago. Read this great interview on JazzWax by Marc Myers done only last year. There's also The Continental by Shearing with Hyams on vibes. Tomorrow (Sunday) at 6:05 am (yes, AM!) on Radio 4 there is the regular programme Something Understood. 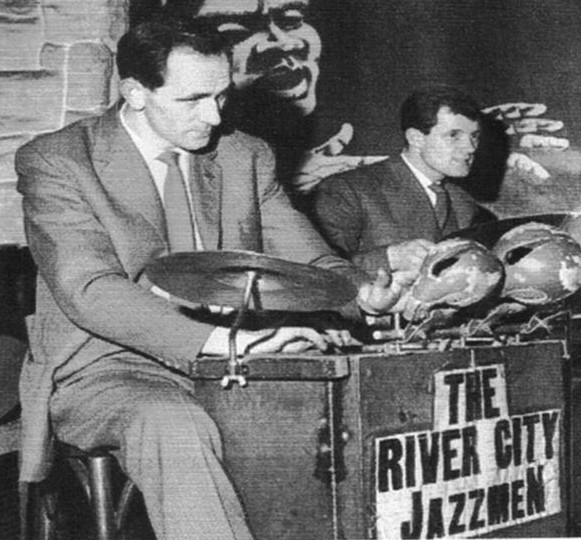 This week 'The Spirit of Jazz', presented by Mark Tully (former BBC correspondent in India) 'considers the role of spirituality and faith in jazz' etc etc. Tully is joined by trumpeter Ian Smith to discuss jazz's meditative qualities. The programme is broadcast again at 11:30 pm. That intrepid historian Colin Aitchison sent me this interesting piece of memorabilia from 1939 - yes Windows has been around for a long time. 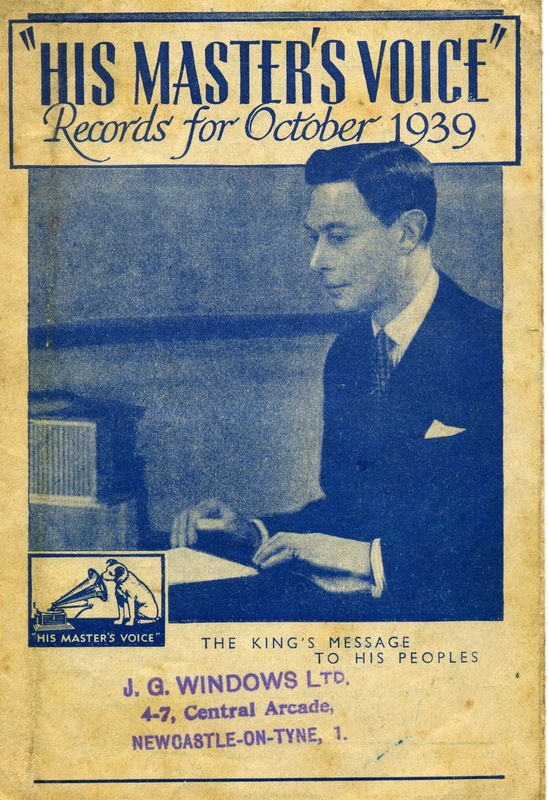 When this leaflet was printed they'd already been in the game for 31 years and have now clocked up 104 years. There can't be many other Newcastle stores - Fenwick's (1884) is one - that have been on the same site for so long. The Customs House Big Band w. Ruth Lambert @ Saville Exchange, North Shields. June 14. Peter Morgan MD & bass trombone. Jill Brett, George Robinson, Alan Marshall, Amber Reeve Chris Kaberry, Saxes. Paul Riley Gledhill, , Kevin Eland, Jay Smith, Annette Butters, trumpets. Chris Kurji Smith, Gareth Weaver, Michael Fletcher, trombones. Bill Brittain, keyboard, Alan Smith, bass guitar, Roy Willis, guitar, Dave Francis, drums. Ruth Lambert, vocal. The CHBB pulled out all the stops again last night to a small but appreciative audience, one with quite a few musicians amongst it. Fifteen instrumentals and nine songs were played and enjoyed, one with audience participation, Basie's April In Paris. New ones to me were Clam Chowder, Switch In Time, Belavino Blues and a beautiful Quintessence by lead altoist Jill Brett. Claire Kelly (vcl); Mark Williams (gtr); Paul Susans (bs); Jeff Armstrong (dms). What can I say? A good singer, three excellent musicians - the ingredients are all there - this should have been Hoochie Coochie Heaven!. I don't know but, for some reason the components didn't gel the way they did on Claire's last visit. The girl sang well and looked good, Mark soloed impressively, Paul was rock solid and Jeff solid as a rock yet they didn't tick all the boxes and I don't know why. Perhaps it was the mainly new and possibly unfamiliar material - there were obvious moments of uncertainty -but overall there wasn't the buzz about the two sets that there normally is with Claire. Audience wise it was the vibrant blues numbers that drew the most applause and where it seemed most likely to happen but never quite did. Dave Morecroft’s World Service Project made a third visit to Newcastle and this Jazz North East promotion was the second Match & Fuse project to be heard at the Star and Shadow Cinema. Morecroft’s ongoing mission is to invite a band from Europe to play a series of double-bill gigs in Britain and secure a reciprocal tour; on this occasion the invitees – Alfie Ryner is/are a quintet of seemingly disparate musicians - travelled from Toulouse, France. Morecroft’s five piece took to the stage first and much of the music performed can be heard on Match and Fuse CDs numbers 3 and 4 and the current release (check-out Wes’ recent review on Bebop Spoken Here). WSP played it loud and rocked it. Raphael Clarkson’s big trombone sound impressed once again and front line partner Tim Ower (saxophones) played with self-assurance, so too bassist Conor Chaplin. Manic Morecroft stoked it up showering burning embers over Neil Blandford’s granite rhythms. Solos were short and few and far between, collective riffs caught the ear and won keen applause from an appreciative crowd. 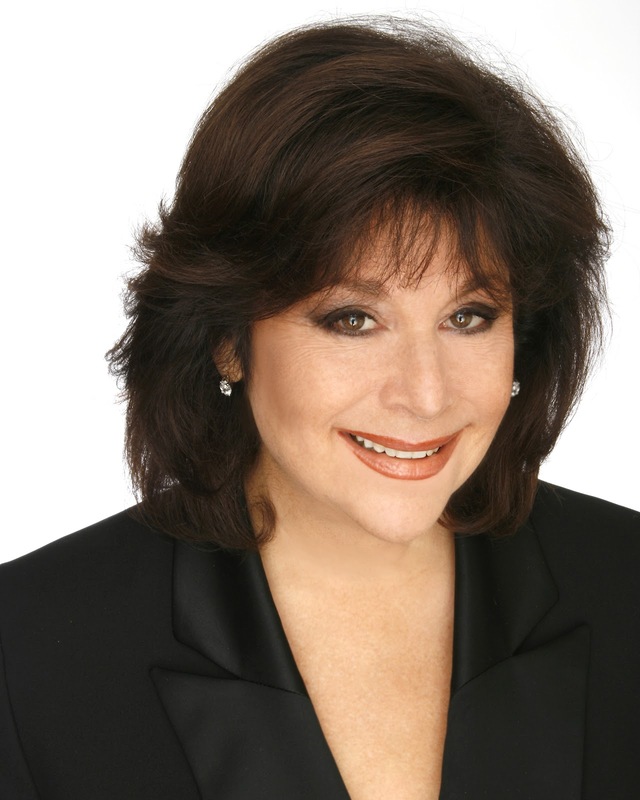 Today is our favourite songstress' birthday - catch Daryl at The Lincoln Centre, New York on Monday June 18. If you can't make it to 60th and Broadway then all is not lost. Colin Aitchison has drew to my attention the sad news that Australian pianist and bandleader Graeme Bell has died following a stroke after undergoing routine surgery in a Sydney hospital..
Bell made a big impact in England back in the early fifties when he toured and recorded with one of Humph's early bands cutting several sides with Lyttleton and with his own band for Parlophone. 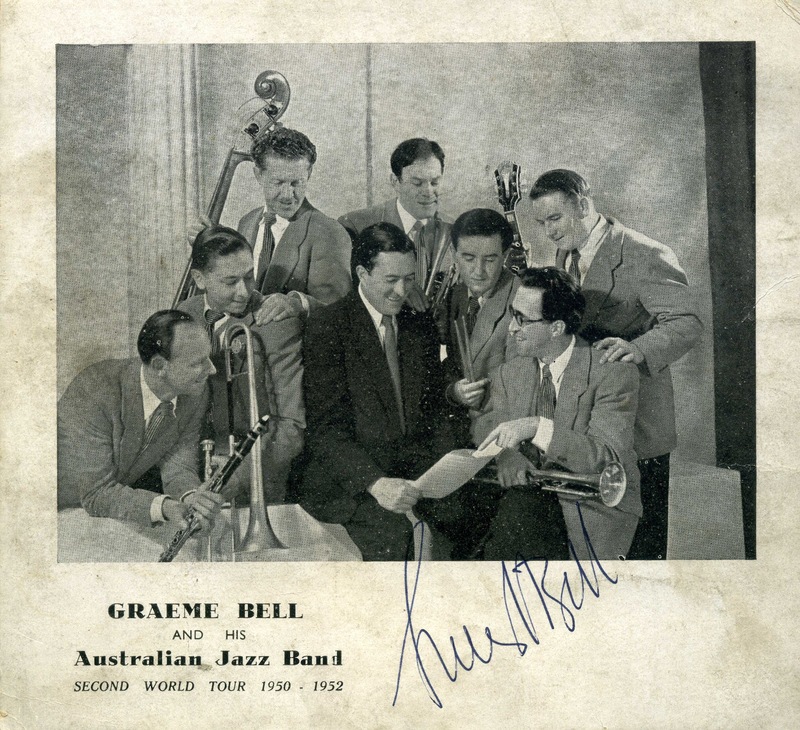 On an earlier trip to Europe, in 1948, the band recorded in Prague and Paris as well as in London for Carlo Krahmer's Esquire label. Roly Veitch (vcl/gtr/bjo); James Birkett (gtr/bjo). This was the other side of Roly Veitch - the Folkie, Geordie Ambassador. The historian of Tyneside, Northumbrian and Durham folklore as told in song by a roll call of long gone local heroes. Robson, Turnbull, Wilson and, of course, Geordie Ridley. As someone brought up on the Cole Porters and Johnny Mercers I was pleasantly surprised to find how easily these local dialect songs were on the ear. I knew many of them but, in truth, had paid scant attention to the words other than in the well known choruses which, in the second half, we all joined in. I'm not going to dwell on the individual numbers - Ann Alex has covered many of them in her CD review of the Blaydon Aces' current release Gan Canny - instead I'd just like to say that to hear two master guitarists adding their own touch of genius to material that is already firmly entrenched in our heritage is quite an emotional experience. JB (James Birkett) even played banjo - one up on JB (Julian Bream)! I think Messrs Ridley and co would have loved it - I did! Just a reminder that clarinet and soprano sax ace Pete Allen is back by popular request to play at Gosforth Trinity this Saturday, backed by a five-piece local band. It's just a year now since Pete was here, and I'm sure all who were there will remember what a great night we had last time, with Pete in full-on Sidney Bechet mode on both instruments. So, for a musical feast - and maybe a welcome break from all the football! - do come and support us on Saturday. Box office 0191 285 6130, or pay on the door(£10) - 8pm start. 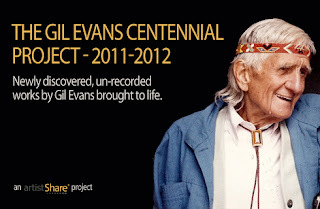 CD Review: Centennial - Newly Discovered Works of Gil Evans. An American arranger called Ryan Truesdell (no, I hadn’t heard of him either) has assembled a stellar group of musicians and soloists to perform and record ten previously unheard works of Gil Evans on the one hundredth anniversary of his birth. The pieces have been recently discovered among the manuscripts kept by Gil’s family – wife Anita and sons Miles and Noah – and used with their permission. The funeral of Sheila, wife of Ashington Jazz Club organiser John Taylor, will take place on Monday June 18 at Ashington Parish Church of the Holy Sepulchre at 1:00pm followed by cremation at Cowpen Crematorium at 2:00pm. Details here. Tommaso Starace (alt/sop); Michele Di Toro (pno); Attillo Zanchi (bs); Tommy Bradascio (dms) + Roger Beaujolais (vbs); Fabrizio Bosso (tpt/flug). 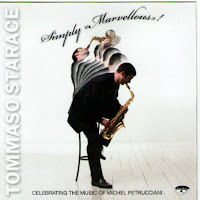 Two of last years highlights were reviewing Italian saxist Starace's previous CD Blood and Champagne and hearing his quartet live at a JNE gig in the Chilli. That latter event was enlivened by some outstanding pianistics from Michele Di Toro and I'm pleased to report he is in equally good form here as is leader Starace. It's a themed CD - a celebration of the music of the late Michel Petrucciani. Mark Toomey (alt); Jeremy McMurray (pno); Peter Ayton (bs); Richard Brown (dms). Just as it seems we get few opportunities to hear Lewis Watson likewise Mark Toomey is another saxist who is never sufficiently on our radar. However, tonight, at the Cherry Tree, we were given a rare glimpse of his scintillating alto playing which was the perfect hors d'oeuvre to Pan Fried Red Mullet, Nicoise Salad. Opening with a bop line that I recognised but couldn't put a name to - the mic used for announcements fluctuated in clarity all evening - Mark paid lip service to his mentor Charlie Parker following up in the same vein with All The Things You Are. I followed up with Grilled Lamb Chop with Merguez Sausage, Hummus, Courgette and Chilli Compote. Both were delightful. Kate Peters (vcl); Matt Anderson (ten); Ian Chalk (tpt); Zezo Olimpio (keys); John Marley (bs); Aubin Vanns (gtr); Sam Gardner (dms). (Review by Lance - photo courtesy of Adrian Tilbrook). The Leeds Gang are back in town in the form of the Kate Peters' Sextet. They came, they played, Kate sang - they conquered! Ignoring for a moment the leaders tremendous vocals the band themselves are amazing. Mourning the loss of Abram Wilson, as many of us were, it somehow brought him alive listening to Ian Chalk's solos. Chalk has a drive and melodic intensity that reminded me of Abram. This review is written at a time of sadness. Many of you will now have heard of the passing of Sheila Taylor on Friday. John’s wife had been bravely fighting her illness during the past twelve months while supporting and encouraging John to manage the progress of AJC. All the members were aware of Sheila’s illness and appreciated the time and energy she continued to give to the Jazz Club. She attended as often as was possible and would be seen on the door greeting members as they arrived, managing the admissions and the raffle tickets and generally making herself useful during the evenings. A friendly and lovely lady whose company we enjoyed and who will be missed by all members and visitors. Tony Kofi has just posted the following on Facebook - "I just heard some really sad news that trumpet player and UK resident Abraham Wilson just passed. We didn't know each other very well on the music scene but it's always a shock to lose someone so talented and so young. R.I.P. dear brother and may you continue to inspire wherever you go." This link to his website is now all the more poignant. Unbelievable! 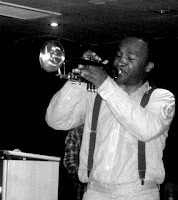 I first heard Abram at the Spice of Life playing alongside Denys Baptiste, Alexander Stewart and the Alex Webb Trio. I had a few words with him afterwards and he seemed a very friendly person. Sadly missed - already the Facebook tributes are pouring in. Richard Kaby Facebook photo link. 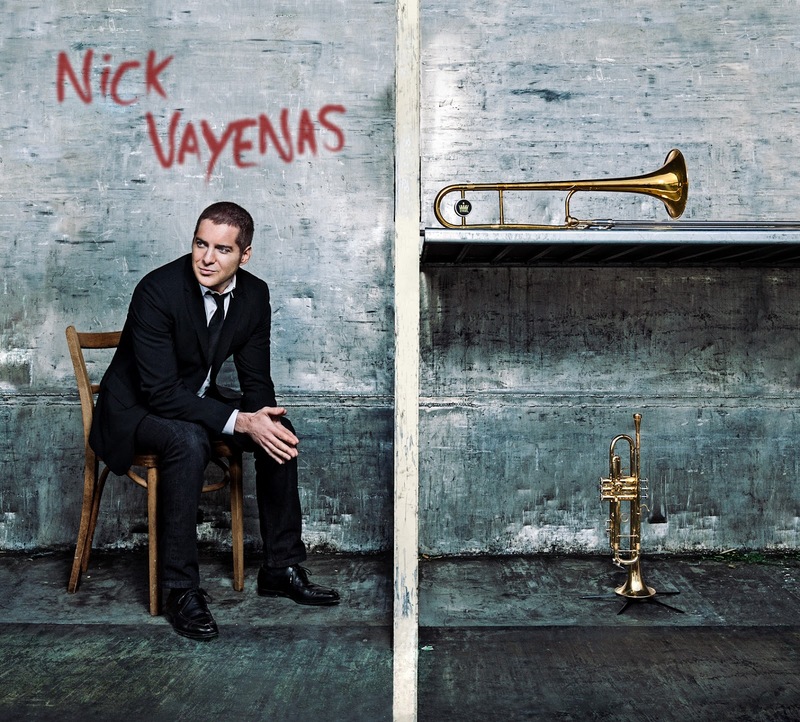 Nick Vayenas (vcl/tpt/vcl); Dan Kaufman (pno); Vincente Archer (bs); Kendrick Scott (dms); + guests Lionel Loueke (gtr); Patrick Cornelius ( saxes). Back to reality. The CD is by Nick Vayenas who, after many years touring with Michael Bublé is now stepping into the spotlight on his own account - or rather three counts to be precise. 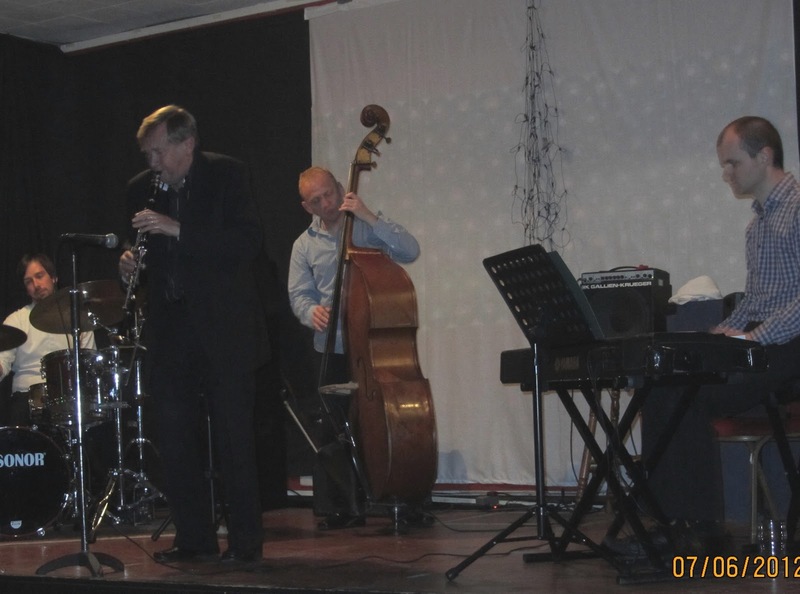 John Hallam with the Paul Edis Trio @ Blaydon Jazz Club.June 7. 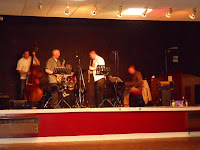 John Hallam (tenor & baritone saxophones, clarinet), Paul Edis (piano), Mick Shoulder (double bass) & Adam Sinclair (drums). The forecast storm clouds gathered overhead during the journey from Newcastle to Blaydon. They did little to dampen the enthusiasm for a much anticipated gig. A return visit by reeds virtuoso John Hallam working in the company of the Paul Edis Trio enticed a good number of folk to Blaydon & District Club and Institute. My wife Sheila was diagnosed with lung cancer about a year ago and died peacefully in hospital yesterday. During the whole of that time her main concern was that Ashington Jazz Club carried on as normal. During that period she never missed a gig and somehow manage to negotiate the notorious stairs at the Elephant. Helping me on "the door" and making everyone welcome, setting the room up, lighting tea lights and making posters were always her main tasks - all done with love and affection. We also went regularly to the Cherry Tree where you (Lance) met her on several occasions. The last time was a Djangologie gig and Sheila spent time with James Birkett. Thanks also to Roly and Dave Kerr for their support. Over the years she did not come to every gig but she did enjoy attending for vocalists such as Ruth and Zoe. Sheila and I went to Lindsay Hannon's first gig at Kikharle Courtyard. There and then Sheila got me to book Lindsay for the Elephant. Sheila was a great organiser and was chairman of the local Townswoman's Guild as well as being in the Scrabble, coffee morning and ladies clubs. She had lots of interests, including the former school where she taught. Lewis Watson (ten); Paul Edis (pno); Rob Walker (dms). The cymbals bring it in - tinkling, shimmering, setting a mood. 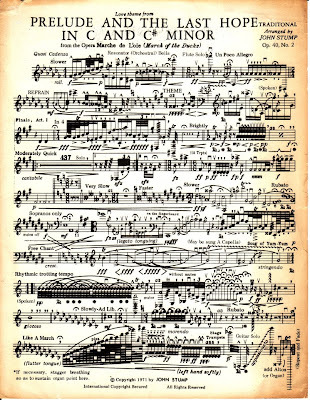 The composition is called Oh Nothing but it turns out to be something created by the keeper of the cymbals Rob Walker. Edis takes it up on piano a repetitive strain that continues after Watson's tenor luxuriates in some meaningful long notes. The tension builds, the sax develops the theme, piano becomes more intense, sax moves up a gear, drums mixes it with them before they return to base and segue into the next movement of this, what is turning into being a beautiful, jazz suite. You’ve got to hand it to the French right now as being exporters of some of the best Jazz-Rock crossover groups as has once more come to my attention with the phenomenal quintet Alfie Ryner. I’ve been enthusiastically listening to the latest Match and Fuse project CD brought to us care of The World Service Project and I am in eager anticipation of both bands forthcoming performances at the Star and Shadow in Newcastle this coming Wednesday 13th June, a Jazz North East presentation. Newsflash!! Waldorf management is moving the CP Steinway to their Peacock Alley venue. I've been asked to inaugurate this with a special Cole Porter birthday event --which I always love doing. My colleagues who've been there regularly will continue to play nightly- now happily on that piano. With it more accessible -- even more folks can enjoy the music and ambiance. Saturday June 9, 7:30 - 9pm I'll tinkle and sing oodles of CP songs and spread good karma that Porter's tradition at the Waldorf will continue for years to come. However, if you can't make it to Peacock Alley then The Sage, Gateshead on July 16 is the place to be. "By and large, Jazz has always been like the kind of man you wouldn't want your daughter to associate with." - Duke Ellington. Art Pepper: More "Tastes from the Widow's Kitchen". Check out this latest "Taste" from Laurie Pepper's tribute site to her late husband Art. Roly Veitch (vocals, guitar, banjo) James Birkett (guitar, banjo). This delightful cd couldn’t have been re-issued at a better time. The great Geordie anthem, George Ridley’s Blaydon Races is one of the featured songs, and this Saturday, June 9, is the song’s 150th anniversary. 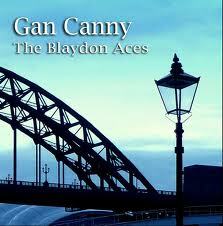 There is expected to be music in Newcastle city centre and at Blaydon itself, in celebration. Then next Wednesday, June 13, you should get along to the Lit and Phil at 7.30pm to see Jim and Roly doing their stuff. Grab a CD then if you can, as I predict that these will go fast. Jazz Esquires @ The Porthole - Mussolini @ Alum House. Miles Watson (tpt/vcl); Tony Winder (ten/clt); Terry Dalton (tmb); Roy Gibson (pno); Robin Douthwaite (gtr); Stan Nicholson (bs); Laurie Brown (dms/clt). After the Hullabaloo and Pageantry of the last few days which I enjoyed - I'm an old sentimentalist at heart - I needed to unwind and what better way to do so than by a visit to The Porthole and the Jazz Esquires? For once, the ever reliable 27 bus wasn't and, as a result, I missed the ferry 'cross the Tyne. With half an hour to wait I settled in the nearby Alum House with a pint of Jenning's Cumberland Bitter and a book about a hypothetical trial of Mussolini - the Italian dictator that is, not his jazz piano playing son. It's an enthralling book written in 1943 and I got so engrossed I almost missed the next ferry. If you are planning to visit the Big Apple and hope to take in some jazz this site gives a very good insight into what's on and how much it's going to cost. As the flyer for the Cherry Tree says ‘Monday Night is Jazz night’ and this session is now well established as a place to eat great food and hear very good jazz. The audience seems to have settled down over the years and is now mostly made up of couples, young and old and small groups of four and five, and they are ready to listen. This makes it a great place to hear jazz when there is a group as good as this on. Just to let site visitors know that the long awaited CD Centennial - Newly discovered works of Gil Evans has emerged on the ArtistShare label. (AS 0114). ie 10 never - before - heard works of the great composer/arranger from different periods of his career. St.James’ Metro station. People get ready there’s a train a-comin’. Get on board. Next stop Monument. Margaret B. got on board, two jazz-loving Americans in tow. Welcome aboard the 12:16 Jazz Age Time Travel Special! The next station is Tynemouth. Alight here for the Roaring Twenties. Blue Skies. Sun beating down, cracking the refurbished glass roof canopy, the station platform resembled Grand Central Station at rush hour. Excuse me, thank you. Excuse me, thanks. 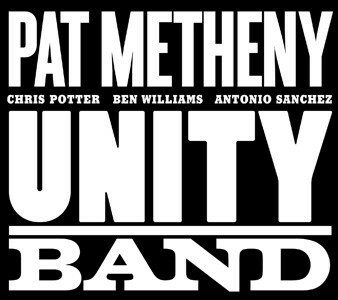 Pat Metheny (gtr); Chris Potter (ten/sop/bs clt); Ben Williams (bs); Antonio Sanchez (dms). I must confess that, over the years, my enthusiasm for Metheny has waxed and waned as he explored so many different genre often with only a tenuous connection to jazz. However, there's always been a jazz side to his playing and it emerges triumphantly and joyously on this his latest CD. Ruth Lambert (vocals); Mark Williams (electric guitar); Graeme Wilson (sax); Paul Susans (bass); Tim Johnston (drums). The quintet were right on form tonight, playing an interesting, lively gig to a small albeit enthusiastic audience, so where were the rest of you? The enviously slim Ruth sang her heart out, dressed in a brown summer dress bearing the currently fashionable pattern of small birds. It’s not fair to describe only women’s outfits these days, but what can I say of the men? They wore a varied selection of jeans, shirts and tee shirts. Graham Hardy (trumpet), Alistair Lord (trumpet), Jamie Toms (tenor saxophone), David Grey (trombone), Hannabiell Sanders (bass trombone), Paul Susans (sousaphone), Brendan Murphy (bass drum) & Nik Alevroyiannis (snare drum). Christmas came and went when Graham Hardy abandoned his Horn Dogs, left in the care of the cat and dog shelter. Then in the bleak mid-winter days of January, as if experiencing an epiphany, the Tyneside trumpeter remembered the old adage ‘a Horn Dog isn’t just for Christmas.’ He knew what he had to do. The sad news has reached me of the death of Jamaican born, Birmingham based saxophonist Andy Hamilton MBE. An enigmatic figure who wasn't heard nationally as frequently as he deserved, I never had the pleasure of hearing him live although I do cherish the two CDs which feature him alongside, on various tracks, Jean Touissant, David Murray, Orphy Robinson, Jason Rebello - even Mick Hucknell - among others that show him to be easily holding his own next to those other jazz household names. He continued his educational work up until recently. Andy Hamilton left us on June 3. Hannabiell and Midnight Blue @ The Green Festival, Leazes Park, Newcastle. Sunday June 3. Sitting in the sun it was warm. In the shade it was Brass Monkeys - no, I don't mean the band formerly known as Horn Dogs - read about them later. 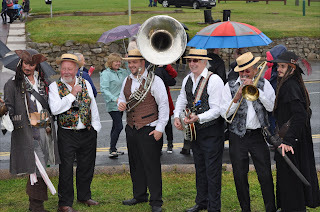 However, weather-wise, once Hannabiell and Midnight Blue hit the ground running the mercury rose considerably and folk were dancing and whooping enthusiastically. Best wishes to alto saxist Elaine Willis and drummer David Francis who, according to Facebook, are reputed to be getting married today. Now we know the reason for the bunting! 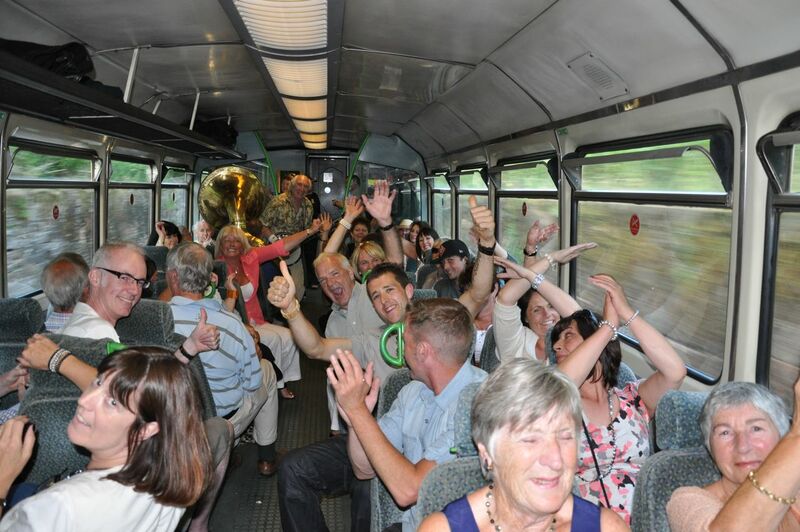 Once again, the hugely popular 'Jazz 'n' Real Ale Trains' are running in June and July. Northern Rail and its partner, Tyne Valley Community Rail Partnership, have received 100% positive feedback for these events - see attached pic's. You'll hear the best of 20's jazz featuring the music of Louis Armstrong, Kid Ory and Clarence Williams among others. Special guest musicians include Gavin Lee, clarinet (30 June and 7 July); from Hong Kong, trumpeter, Colin Aitchison (Sat. 7 July); sousaphone ace, Mike Harrison (Sat. 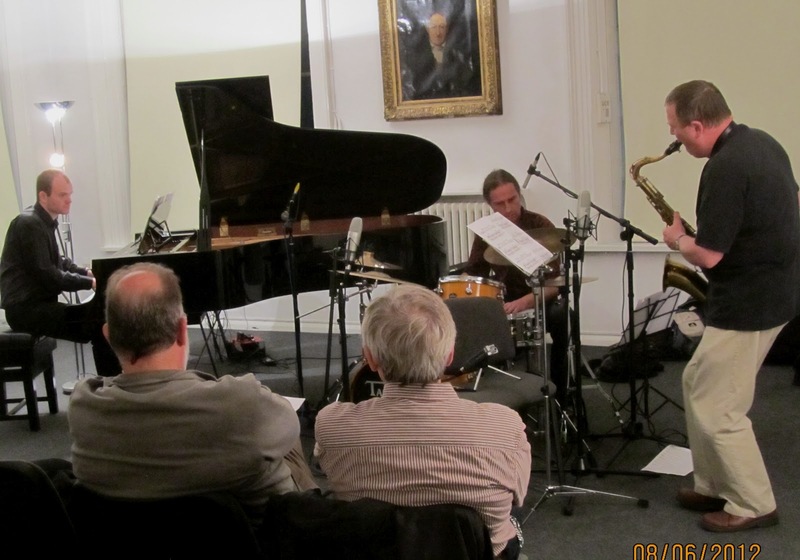 9 June) - expect to also hear 'jazz train' regulars Brian Bennett and Terry Harvey (banjos); Derek Fleck, (clarinet); Fred Rowe (trumpet) and Phil Rutherford, sousaphone - of course, if you prefer experimental and avant-garde free jazz, you may prefer to stay at home. "Civilisation is a wonderful thing - people should try it". Just to give you an update on Ray Chester. He still remains very poorly and is being moved from Hospital to a respite home in Houghton. The Consultants are doubtful that he will ever return to his home which is extremely sad. I'm sure you would all like to wish him well. Ruth Lambert (vocals), Mark Williams (guitar), Graeme Wilson (tenor saxophone) & Andy Champion (electric bass). The shortest set of Ruth Lambert's illustrious career. Fifteen minutes and she was gone. Is You Is or Is You Ain't My Baby? followed by Bonnie Raitt's Love Me Like a Man concluding with the Doris Day classic Secret Love. Was it good? Of course it was! 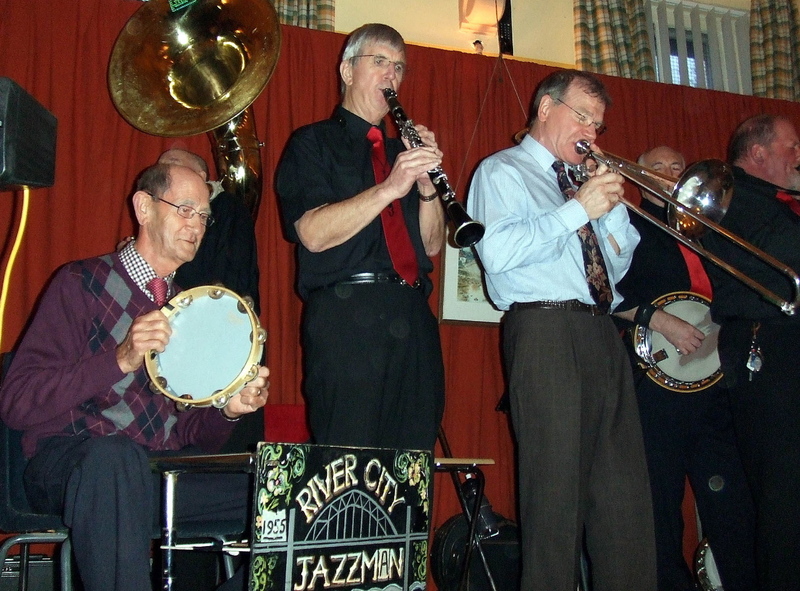 Gavin Lee’s 7th Street Dixieland Band: Jazz @ the Fell - Friday June 1. (Review by Russell - Photos by Oliver Soden). Gateshead Royal British Legion Club on Coatsworth Road, home to Jazz at the Fell, had, for some reason, made an effort to be festive. A hand-drawn poster announced a party for all the family would be held on Monday. A tired-looking string of flags signalled something – perhaps indifference.